This week on Show Me How, Gloria Bastos is joined by Roenell van Zyl from Brother International. She shows us the endless possibilities of using technology to create lovely crafts. 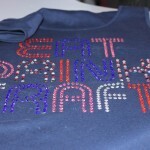 She will show us quick and creative ways of personalising plain garments to glamorous stylish tops. She will teach us various techniques such as incorporating technology into crafts, creating designs, transferring patterns, and so much more. 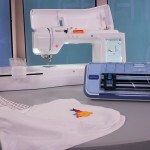 Step 1: Go to the Brother ScanNCut Canvas, cloud-based website www.scanncut.brother.com and select a rhinestone design that you like, or make your own design. Step 2: Load the cutting mat with the template fabric adhered to the cutting mat. 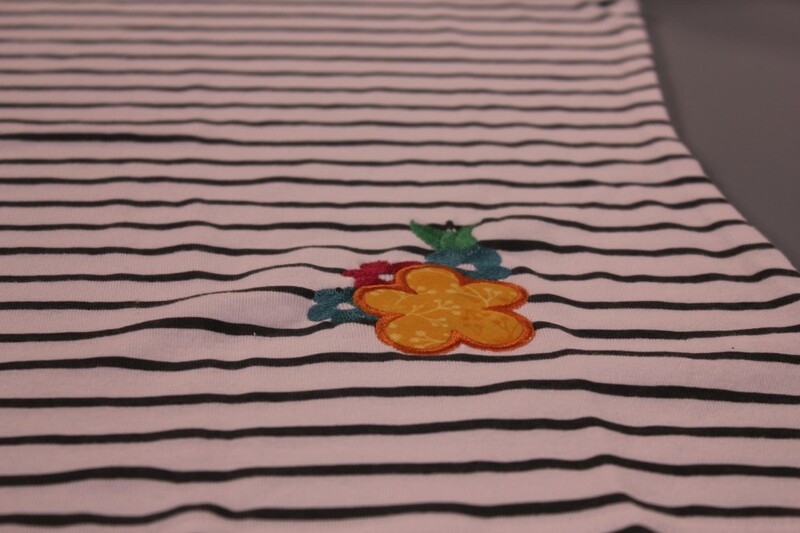 Cut the design with the Brother ScanNCut on the fabric template. Step 3: Unload the cutting mat. Rip the template fabric from the sticky background so that the holes for the rhinestones are cut clean. Stick the template to the “sticky” cardboard. Step 4: Put the design template inside the rhinestone box or a similar container, to catch any of the excess rhinestones that do not fill the holes on the template. Step 5: Sprinkle the rhinestones according to the colour and size onto the template in the box. 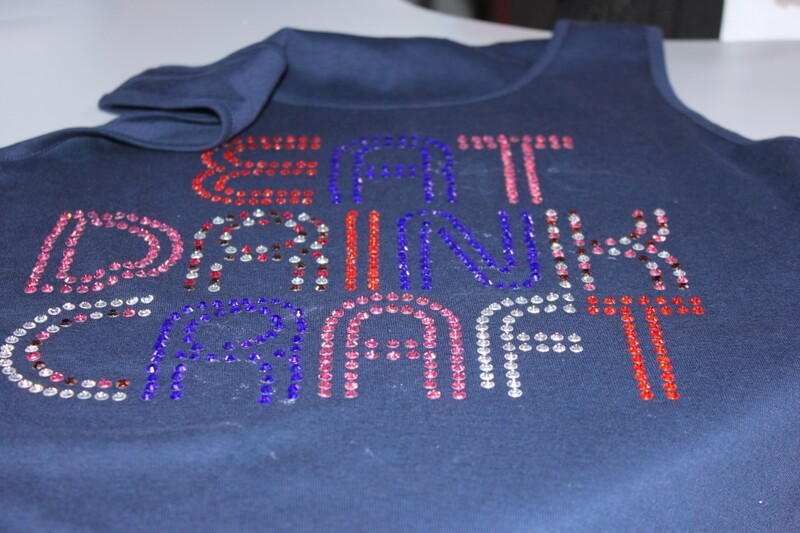 Brush the rhinestones over the holes on the template fabric until all the holes are filled and all the rhinestones are facing upright and the glue side to the bottom. Step 6: Use the rhinestone picker to fill the last few remaining holes without rhinestones. Use the sticky clear film and carefully put it on top of the rhinestones to transfer them from the template onto the clear film. 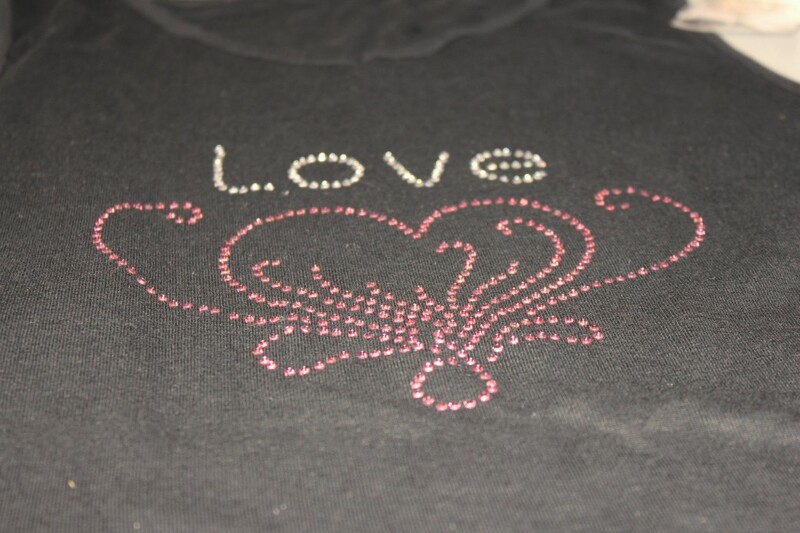 Lift the clear film with the rhinestones attached (glue side down) and position it carefully onto the T-shirt wherever you want the design to be. Step 7: Place the cotton cloth over the clear film and Iron with a hot dry iron (no steam) so that the glue on the rhinestones melts and sticks to the T-Shirt fabric. Do not iron directly onto the rhinestones or film without the cloth as it will damage them. Step 8: Lift the sticky clear film sheet carefully off the rhinestones. 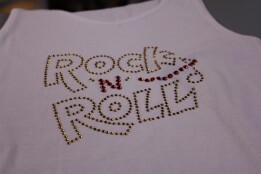 Ensure that all the rhinestones stick to the T-Shirt. 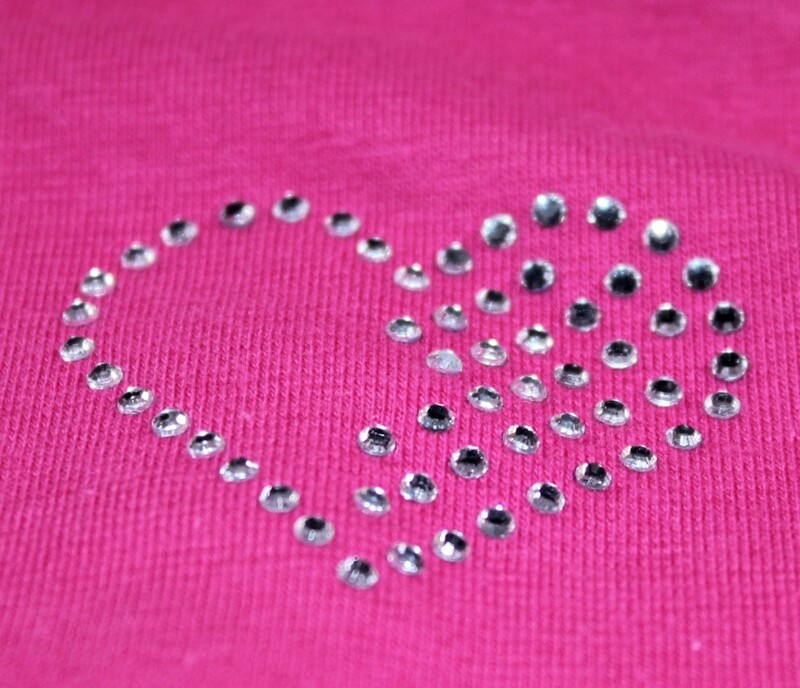 If any of rhinestones lift with the clear film sheet, then iron again until all the rhinestones stick to the T-Shirt. Step 9: Then, carefully place the cotton cloth over the rhinestone design and iron again to ensure that all the glue behind of the rhinestones has melted and that the rhinestones are firmly stuck to the T-Shirt. This will ensure that the rhinestones will not wash off when washing the garment. Tip: Always turn clothes with rhinestones or creative finishings inside out and wash on delicate cycle so the detail lasts longer. 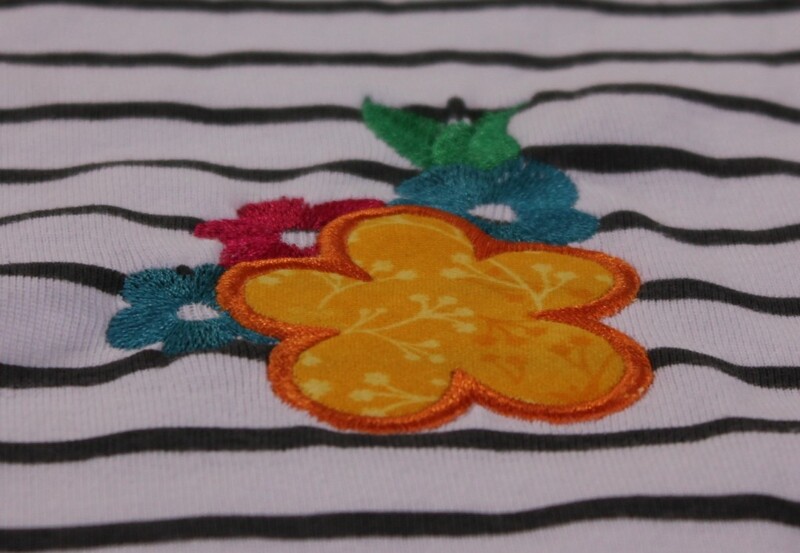 Step 1: Select a design that you like and start with the embroidery part on the T-shirt. Step 2: When you reach the step to start with the applique, stitch the place line as a guide to help you position the applique fabric. Step 3: Save the image onto a USB drive and insert the USB into the ScanNCut machine, load the cutting mat with the fabric and cut the relevant pieces. 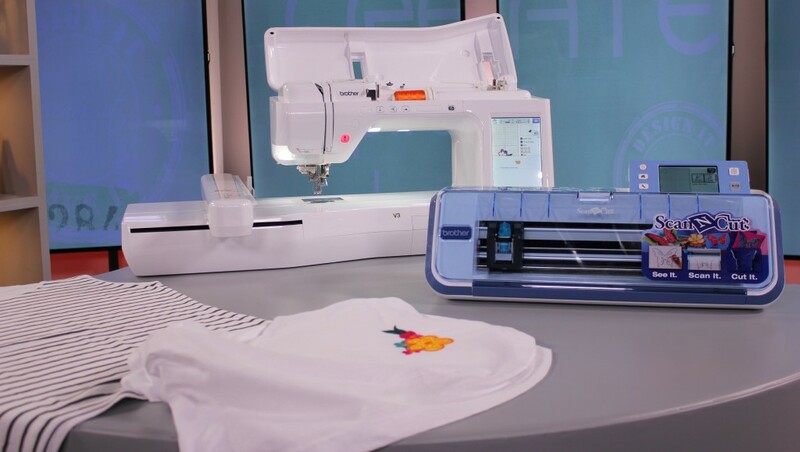 Step 4: Take the fabric cut-out back to the embroidery machine and place it on your design, using the place lines as your guide to position it correctly. 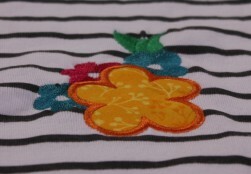 Then continue to embroider with the satin stich to complete the applique design. Step 5: Take out of the hoop and neaten threads. 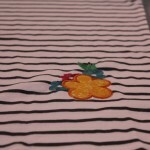 Press the design on the reverse side of the T-Shirt using a damp cloth.